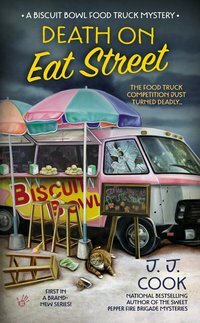 But things soon turn sour when fairgoers witness a fight between Amy’s boyfriend, Nate, and town council blowhard—and bagpipe player—Alan Rosemont. 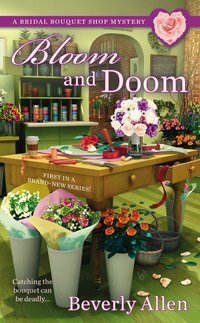 When Rosemont is found floating in Piper’s barrel, Nate becomes the prime murder suspect. With Amy’s boyfriend in a pretty pickle, there’s no time to dillydally. 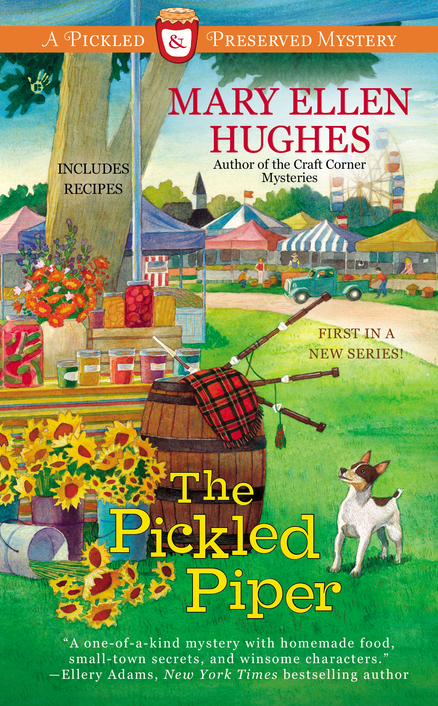 But as Piper searches for the real killer, she needs to be careful to preserve her own life…or she may end up a pickled Piper herself. A choreographed historical re-enactment was the highlight of Blue Plum, Tennessee’s annual festival. J.S. 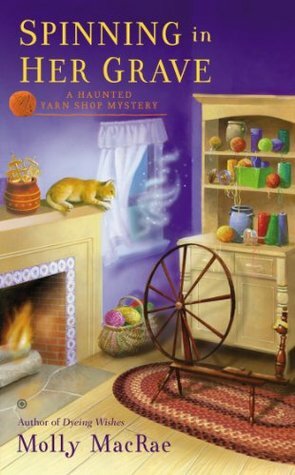 Prescott’s special request is for Kath Rutledge, the owner of Weaver’s Cat yarn shop, to allow him to place two re-enactors upstairs by the windows. He assures her that it will be perfectly safe, but she doesn’t give him her approval. Adding her opinion as well as security detail is Geneva, the ever present, but not always visible, live-in ghost. While participating in the fest, Kath calls her store. She’s told by Ernestine, one of her employees, that she thought she heard someone come in the back door. Shortly after, Kath and the entire town filled with tourists and locals, learn that Reva has been killed. The authorities are pretty sure the killer used Kath’s store to take aim and shoot Reva, the sister of a café owner. Deputy Cole Dunbar arrives on the scene with emergency crews which temporarily closes Kath’s fiber and fabric store so they can search for evidence. Kath and a few friends learn that Reva had a number of issues. One of them was getting money by charging people double for an order at her sister’s café. There’s more, Mel had just reported a theft before Reva was murdered. Questioning Reva’s double dealing practices is only half of it. There seems to be something else going on that no one knows about. Kath is dying to find out what it is. Spinning in her Grave has an interesting mix of amateur sleuths and suspects. Sleuth wise, Kath is not alone for she has a team supporting her. While Geneva, a ghost with unfinished business, is interesting, her mysterious existence before death creates a second plotline. You’re never really too sure if the spirits of her long dead friends will make an appearance. Trying to guess which one of the suspects was the true guilty party, keeps the reader curious. Of course Reva’s spouse and family are always prime suspects and then anyone she double crossed. There was also the businessman who had his hand in everything and always kept on showing up. I enjoyed reading the book, maybe because I’m learning to knit. Loved the relationship between the cat and the ghost and Kath’s intuition and courage. 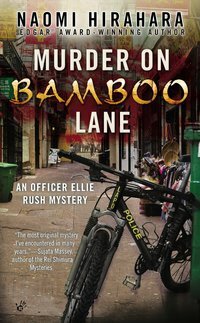 At the behest of her Aunt Cheryl, the highest-ranking Asian-American officer in the LAPD (a source of pride for Ellie’s grandmother, but annoyance to her mom), Ellie becomes tangled in the investigation of the coed’s murder—with equal parts help and hindrance from her nosy best friend, her over-involved ex-boyfriend, a smoldering detective, and seemingly everyone else in her extended family…only to uncover secrets that a killer may go to any lengths to ensure stay hidden. Sugar and spice and murderous vice. When Emma gets word of a sticky spirit problem in Las Vegas, she and the ghost of Granny Apples hit the road for Sin City. The spooked one is Dolly, a former showgirl. Dolly is haunted by Lenny, a dead Vegas hood worried about an aging mobster named Nemo coming after the leggy old bombshell. Dolly’s playing dumb, but Emma’s making a blind bet that she knows more about Nemo than she admits. 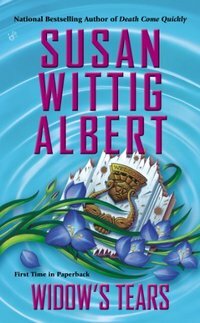 When Nemo is found dead, Dolly goes missing—and lands herself on a short list of suspects. 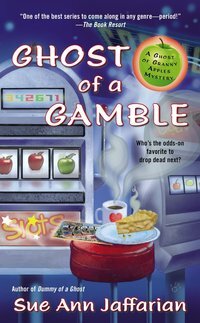 Emma, Granny, and their pals comb Las Vegas to find her, only to discover the truth behind a casino heist gone bad, a hidden stash of stolen loot, and a missing wise guy who’s not letting death come between him and setting things straight. And Emma and Granny Apples aren’t about to fold until they save Dolly’s neck and put her past to rest. In present-day Texas, Claire, the grandniece of Rachel’s caretaker, has inherited the house and wants to turn it into a bed-and-breakfast. But she is concerned that it’s haunted, so she calls in her friend Ruby—who has the gift of extrasensory perception—to check it out. 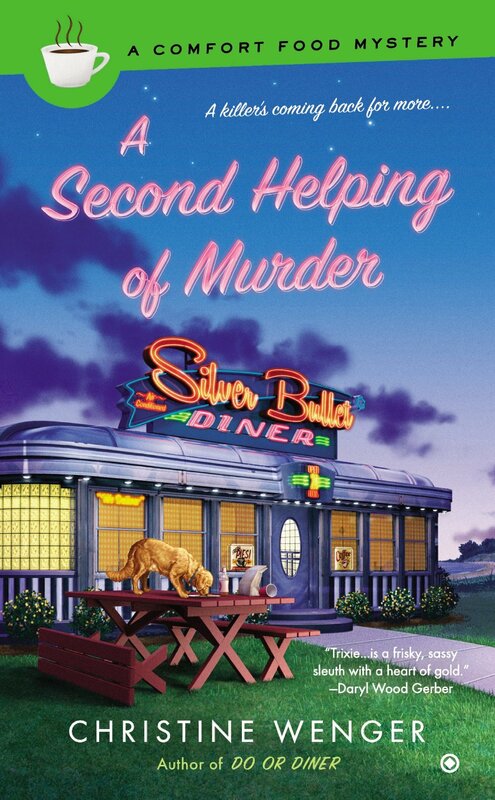 Trixie Matkowski was settling comfortably into her role as Silver Bullet Diner and Cottages owner. She was proud of her managing skills as well as her family business continuing on. 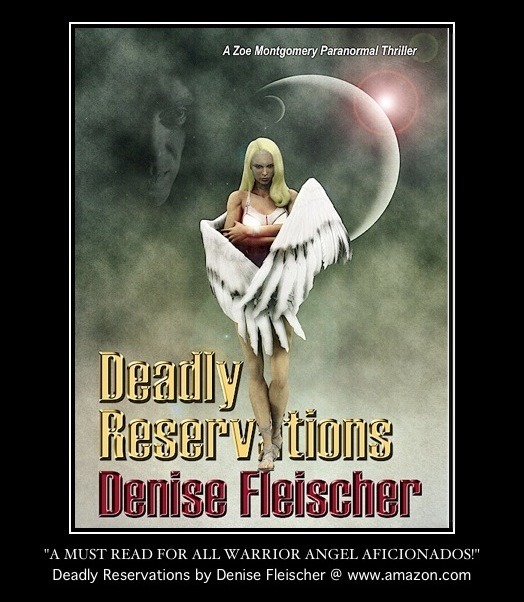 Her newly established comfort zone is shattered when the remains of a missing girl are found. Claire Jacobson disappeared after a teen bonfire not far from the diner 25 years ago. No sooner does a writer rent cottage number 8, is he murdered. That’s the same cottage Claire’s family use to rent during the summer. Shortly after the authorities search for evidence, does a bus filled with amateur sleuths turn up unexpectedly, eager to solve the crime. To make matters worse, cottage renters start backing out of their reservations. 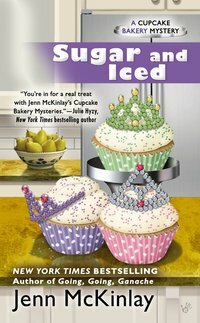 While the murders on or near Trixie’s property can’t be dismissed, it’s the senseless death of a beautiful, young woman, who was kind to Trixie when she was a child, that disturbs her the most. 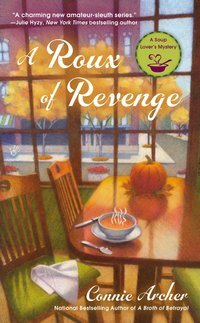 Trixie is determined to help Deputy Ty Brisco figure out who ended both Claire’s life and the murdered cottage renter. 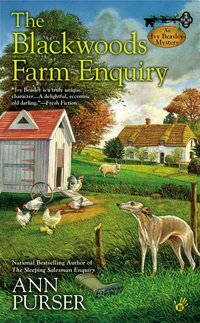 Various clues are cleverly hidden, but Claire knows how to uncover the truth, even if one murder happened 25 years ago. A Second Helping of Murder creates a dimensional setting that has you yearning for a road trip. The characters have great personalities, they don’t hold back emotions or attitudes. You actually cared for the protagonist and the murder victim and wish that Ty and Claire become a couple. Can’t wait to read the next book in the series.